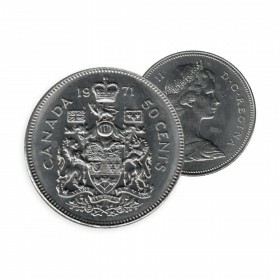 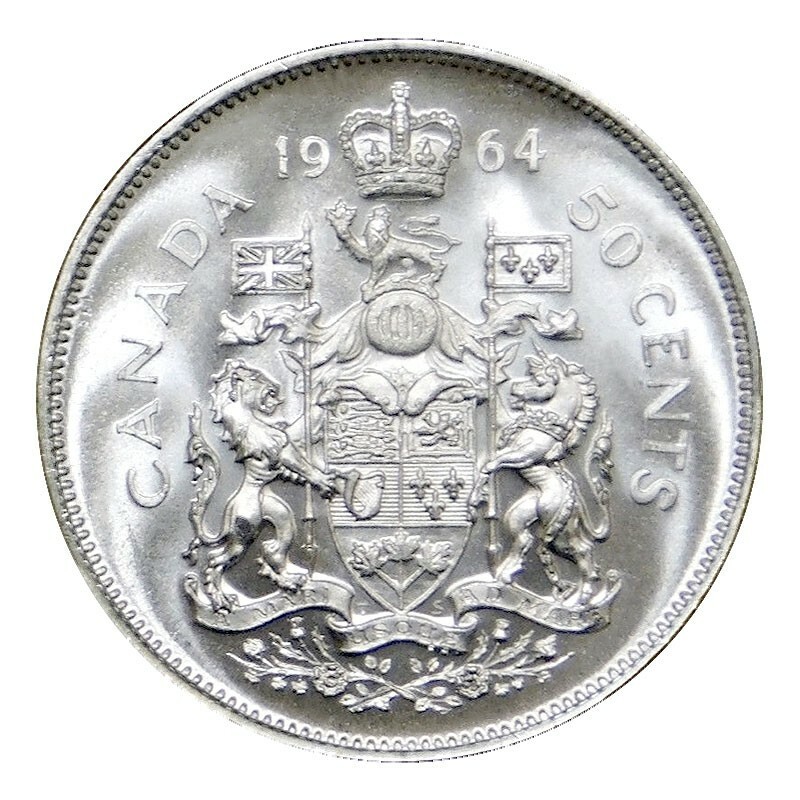 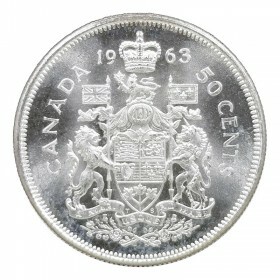 In 1959, the new Canadian coat of arms which had been approved for government issue in 1957 was adapted for the 50-cent piece. 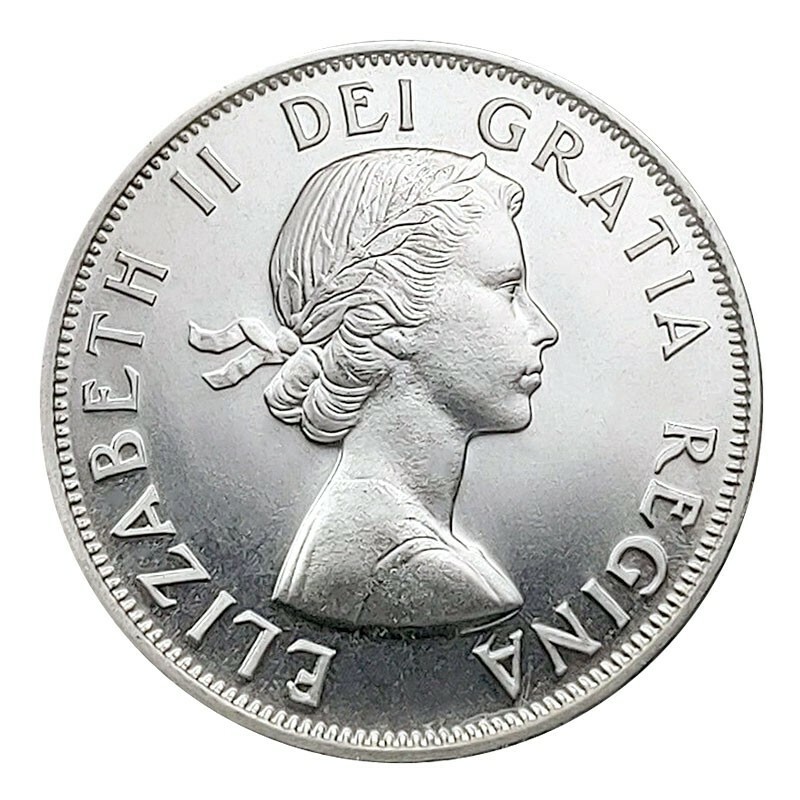 One of the major changes compared to the previous design was the addition of a ribbon at the bottom bearing "A MARI USQUE AD MARE," meaning "from sea to sea" and making reference to the territorial extent of the country. Features the modified Canadian Coat of Arms as described by the Royal proclamation of November 21, 1921. 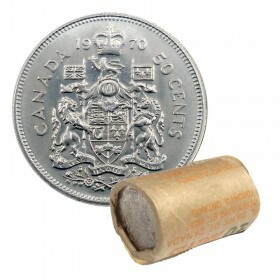 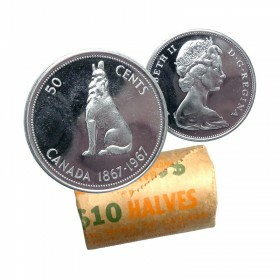 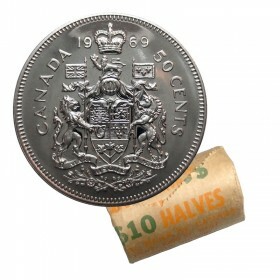 Each roll includes 20 coins of 1964 Canadian 50-Cent Coat of Arms in unopened original condition. Note: The photo of this item is a stock image only. Coins Unlimited offers secure shipping services worldwide via Canada Post. Upon payment confirmation, orders ship from our store location within 1-2 business days. 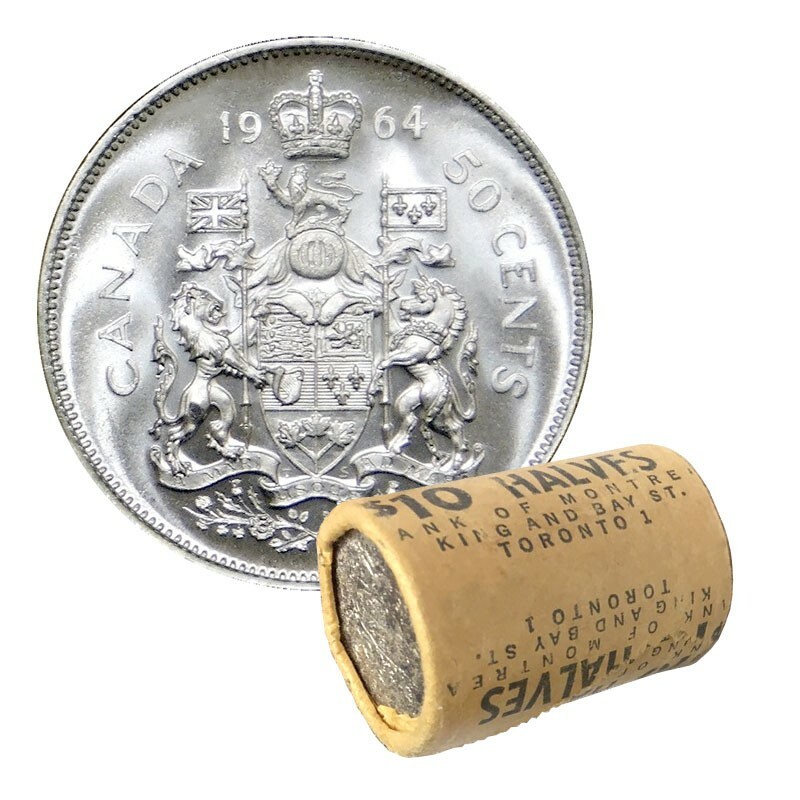 Some products are not eligible for international shipment. 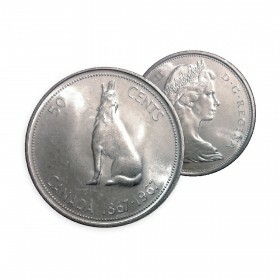 Also, additional restrictions may apply. Please contact our Customer Service line at (+1) 905-788-0376 or email us.